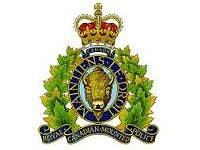 Swan River RCMP received a report that a Case baler and a Bobco livestock trailer had been stolen from a property just outside of Birch River sometime over the last few weeks. Call Manitoba Crime Stoppers toll free at 1-800-222-8477 (TIPS). Go online to submit a secure tip at www.manitobacrimestoppers.com. You will be helping make your community a safer place to live. Callers never have to give their name. You can be eligible for a cash reward of up to $2000.00 should your information lead to an arrest in an investigation.